Could the New York Giants take a pass rusher at number six overall? It’s not out of the question and the list of players that they’ve visited during the NFL Combine and during various college Pro Days reflects that. It wasn’t that long ago that the team sent staff to meet with Rashan Gary at the Michigan Pro Day, and it seems the Giants did the same thing with one of the most well-known players from Michigan’s main rival. The player that they met with in this case is Nick Bosa, who is projected to go as high as number one overall. The meeting was revealed on NFL Network and while Bosa falling past the Cardinals at number one overall would have seemed like a pipe dream earlier in the year, it looks like there’s a chance the Cardinals could take a quarterback and move on from Josh Rosen. That would leave Bosa to potentially fall, although whether or not Bosa lasts past the 49ers is debatable. 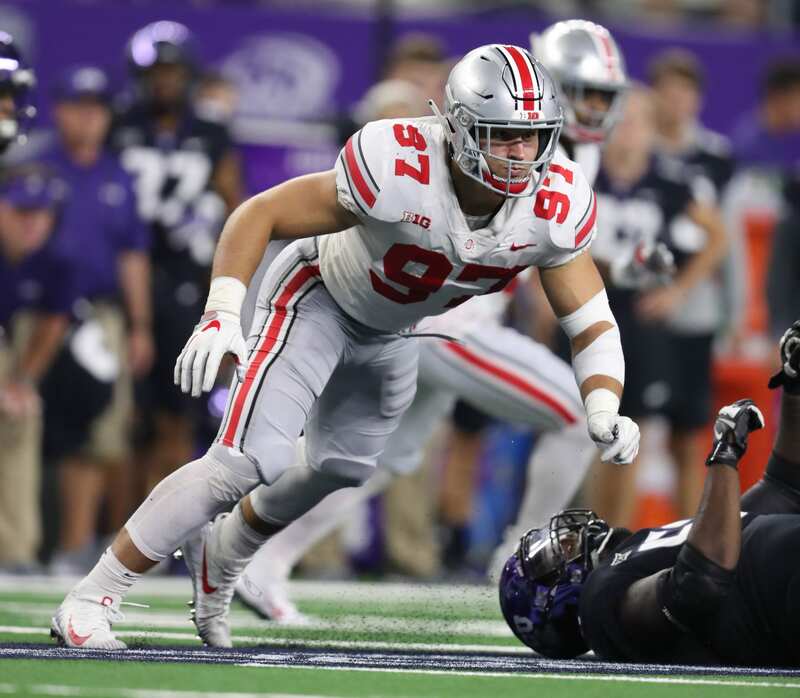 Bosa is possibly the highest rated defensive player in the draft, but will have some detractors because of his injury problems which led to him only playing three games in his junior season. His draft stock won’t be based on that year, but on the two years prior where Bosa registered 13.5 sacks and showed both versatility and skill as a speed rusher. However, the Giants may be wary of another pass rushing player coming off of an injury. The team did, after all, enter the season without Olivier Vernon, something that likely played a part in things going of the rails as fast as they did. It also looks likely that the Giants will prioritize a quarterback over a pass rusher, but that isn’t certain. The front office has defied expectations already this offseason, for better or for worse. The 49ers have the second overall pick and are the most likely team to take Bosa. It seems the Giants meeting with him is a bit of a precaution to be prepared in the event that they don’t make the expected choice. Either that, or the Giants front office knows something that isn’t public info yet. Either way, Bosa is worth keeping an eye on, and one of the best additions the Giants could get if still available at number six overall.